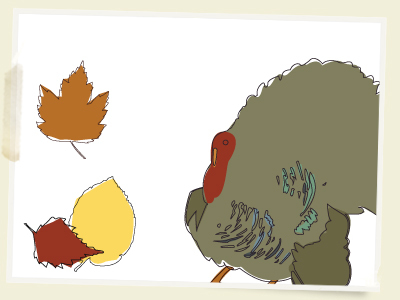 It is about time for some thanksgiving vector art! I found a stack of my old college design work and there was a bunch illustrations done in this style. I am not sure why I got so into this technique, maybe because it is so free and fun. Anyways hope you enjoy and get ready for some more free vector art to comeâ€¦ saw an old unicorn graphic I might have to recreate. Almost forgot… It has Ben Blogged! Great graphic! Thanks for creating and sharing.